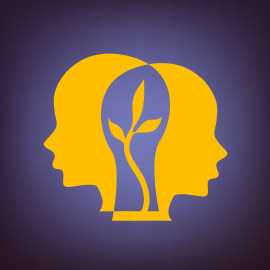 BRANTFORD – Wilfrid Laurier University’s new Centre for Public Safety and Well-Being is now accepting applications for its certificate program in Positive Psychology. The wholly online program is the first in a series of continuing education opportunities that will be offered by the centre, which was created by the university’s Faculty of Human and Social Sciences. “The positive psychology certificate program uses science to understand how we can shift our emotions and thinking from a neutral state to a more positive, flourishing state,” said Holly Cox, manager of the Centre for Public Safety and Well-Being. Anyone is welcome to register for the program, but it is a particularly good fit for front-line workers, first responders and those in the education, healthcare and social service sectors. The program seeks to help students learn how positive psychology principles are used to build resilience, manage emotions, deal with stress, and promote life satisfaction and well-being. Positive psychology involves the scientific study of the strengths that enable individuals and communities to thrive. Those who study positive psychology examine thriving, healthy cases and look for the patterns. Students will seek to understand the behaviours that lead to individuals feeling that their lives are meaningful and fulfilling, and explore how to cultivate that knowledge. The Positive Psychology Certificate provides students with the background and tools necessary to reduce the impact of associated workplace stress related to their personal and professional lives. As a final capstone of the certificate, students will develop an initiative that promotes well-being within the workplace, increasing the sustainability of their own progress while simultaneously benefiting their workplaces and communities. Those who register for the Positive Psychology Certificate program will receive additional benefits, including a year’s membership with the Canadian Positive Psychology Association, a one-year subscription to the Positive Psychology Practitioner’s Toolkit (the most comprehensive positive psychology resource available), and the program textbook. An early bird discount of $100 is available for those who register before Feb. 1, 2016. Additional discounts are also available for any organization registering ten or more employees, as well as Laurier alumni, students, and employees. Complete registration details for the program are available on the Certificate in Positive Psychology website. For more information, contact Holly Cox or email the centre at cpsw@wlu.ca.